As much as I strongly support Scottish independence from the United Kingdom, this recent headline made me question my position (if only for a moment). 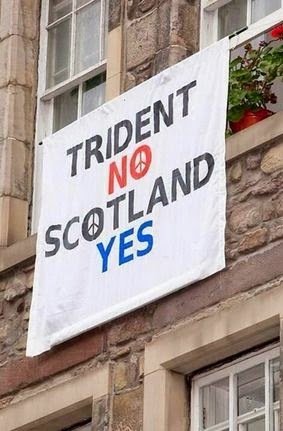 "Send British nukes to US if Scotland votes Yes say military chiefs"
GREAT! As if the US doesn't already have far too many nuclear weapons!!! Senior military officials in the UK told the Sunday Express that "BRITAIN’S independent nuclear deterrent should be moved to the Unites States if Scotland gains its independence." Phew!!! It looks like Britain's four Tridents won't be sailing for King's Bay, Georgia any time soon. The article in the Express does, however, make for some very interesting reading. 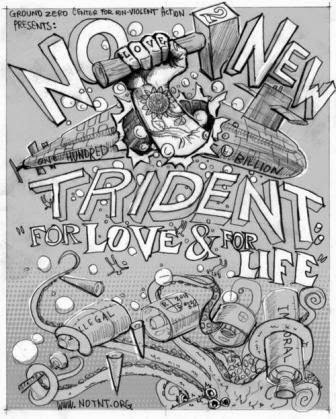 First, the notion that Britain has an "independent" nuclear deterrent. Besides the Trident II D-5 ballistic missiles they lease from the United States, there is the issue of intelligence sharing with the UK. As Air Commodore Andrew Lambert put it, "we rely on the US for our missiles and for an awful lot of intelligence." Independent indeed!!! Should Britain have to move its nuclear weapons operations "south of the border", it would (according to the article) "cost around £3bn and take up to ten years." On the other hand, "'renting space'" in the US would be cheap in comparison. Republican Congressman Jim Sensenbrenner is strongly supportive of the idea of basing the UK's Trident fleet in the US, and said such a proposal "would have very strong Republican support in Congress." No kidding!!! We certainly need more nuclear weapons, don't we?!?!?! Of course, the conservative think tanks are all over this one. "Luke Coffey, a former MoD [Ministry of Defence] aid to Dr Liam Fox and now with Washington DC-based Heritage Foundation said: 'In the chance that the vote is Yes, the first policy paper I will be writing is to recommend that the United States Government does allow the hosting of Britain’s nuclear deterrent.'" Of course, Coffey couldn't resist slamming the French. “The US would make much more sense [as a base for the British Trident] than, say, France which is less dependable over this kind of issue." Sacre bleu!!! 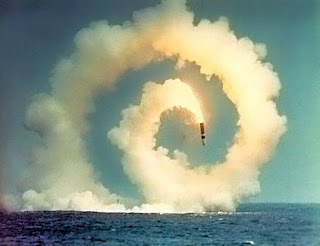 Coffey did get one thing absolutely right: “There is zero debate here [the US] about nuclear weapons and the idea of having an extra four submarines would not be an issue." Yes, even TWELVE New Tridents are a non-issue!!! 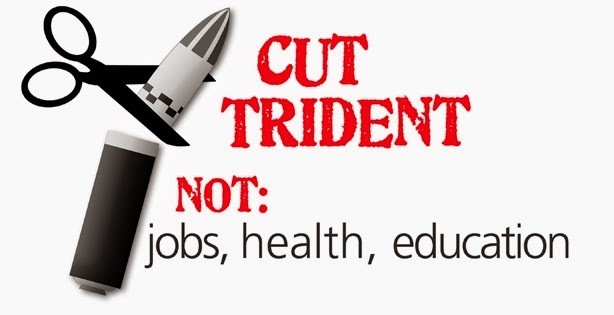 One would be hard pressed to find anything resembling a "debate", let alone any discussion of Trident and the issues surrounding it in the United States. For now, British Trident will continue to sully Scottish soil. Both the British and Americans will continue preparing to build their new ballistic missile submarines. And while the debate continues over basing Trident on Scottish soil, we must do our best to engage people in the US in a serious discussion and debate about why we continue preparing to build the very means of humanity's extinction. The most important piece here in the US will be putting pressure on Congress to strip funding for New Trident in the 2015 fiscal year funding cycle and beyond. If Rep. Sensenbrenner's comments are an indicator, we have a difficult task ahead of us.